Job Baster studied medicine in Leiden in the Netherlands. In his study he was trained in scientific methods, he learned that thorough observations are very important to understand natural phenomena. After his study traveled to England and France to visit scientists and to deepen his scientific knowledge. Afterwards he settled as a physician in Zierikzee, a small town in the south of the Netherlands at the border of the Oosterschelde. He started to collect animals and plants and had a active correspondence with international scientists about actual biological matters. Soon he became a member of different scientific societies and published various articles and books. 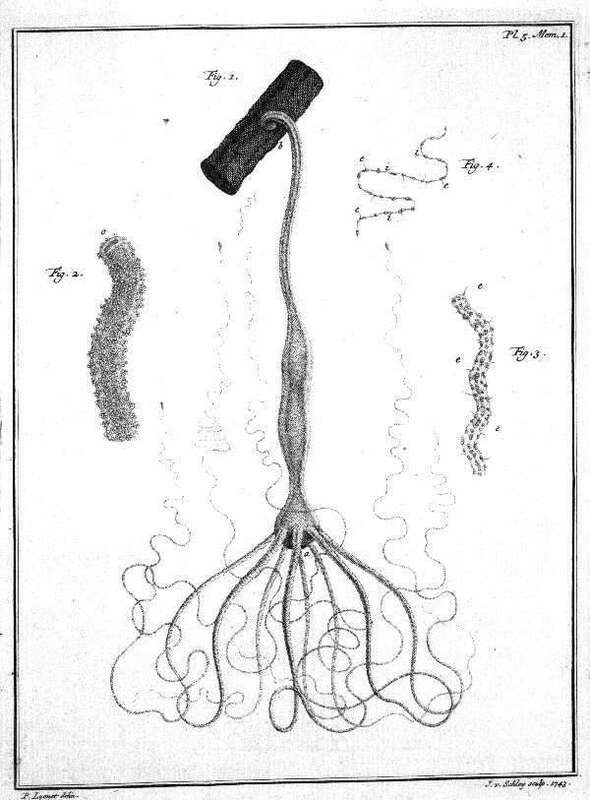 In the middle of the 18th century interest for underwater life was stimulated by the description of the Hydra by Abraham Tembley (1744). His description rose big interest among scholars as he showed that Hydra has properties of both plants and animals. On one side the Hydra is green and reproduces asexually by budding while on the other side it moves and retracts when touched. To get more information about the plant-animal boundary Baster begin to study 'corallines', calcified treelike organisms of Northern seas. He studied hydroids like Sertularia and Tubularia but, like his contemporaries, also added calcerous algues, which led him to erroneous conclusions. At first he stated that the corallines were plants and the polyps were animals living on these plants. His opinion was heavely attacked by John Ellis from England. He argued that corallines were animals. Influenced by the famous Linnaeus from Sweden Baster changed his opinion, he accepted that corallines were 'zoophytes', animals and plants at the same time. As a result of the dispute Baster took note of other marine organisms near his house at Zierikzee. He studied many species for marine organisms and from 1759 to 1765 worked on his book Natuurkundige uitspanningen. More about the 18-century discussion about corallines and the role Baster played in it (in Dutch). After some earlier attempts Baster succeeded in convincing two laymen to follow his example. The civil servant Martinus Slabber collected organisms for just one year and finished his manuscript a year later. His contribution to marine biology was more superficial but his book Natuurkundige verlustigingen consists of beautiful illustrations of small animals he collected with a landing net. The merchant Leendert Bomme made much more thorough observations on marine animals over many years and published various scientific papers and manuscripts.